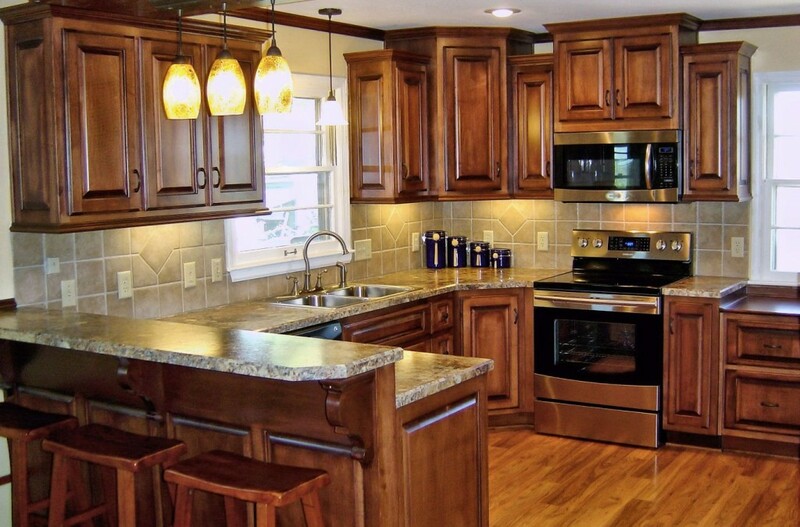 If you have decided to remodel your home, the first thing that you need to consider is your kitchen. Since kitchen is considered as one of the most trafficked rooms of your home, you have to make sure that you will keep it as comfortable as possible. You have to make sure that every feature of your kitchen is in good shape, pleasing to the eye, safe and functional. Remove the wasted steps. You have to think where and how you use your kitchen items. You can keep the bowls and breakfast foods near your breakfast table. The plastic containers and wraps should be stored near the work area. Also, the flatware and dishware should be located near the dishwasher to make the unloading process easier and convenient. Improve the design and wideness of the walkways. The pathways of the kitchen should measure at least 36” wide to ensure people would be able to move conveniently. If your cooking zone is a one-cook kitchen, the pathways must be 42” wide while if it is a two-cook one, the space must be 48” wide. You can also adjust the peninsulas and the kitchen islands to make the movement at ease. Consider the kitchen countertops. If you cook frequently, you need more counter space, preferably amongst sink and range. You can incorporate at least 2 countertop heights as it will make the baking process easier and it also helps your kids to feel at ease especially when helping during food preparations. You can message center on your kitchen. If you have established a telephone area on your kitchen, you can also add up a message center. You can put small bulletin board, whiteboard or chalkboard on the wall. And you can also store a netbook, calendar, writing utensils and others in a nearby storage box or drawer. For small kitchen, use light colors. If you have small kitchen and you make use of dark color schemes, it will surely make your kitchen look smaller and less inviting. And with that, you can use soft shades particularly on your kitchen cabinets as well as natural light, which will expand the small room. These are just few of the kitchen remodeling tips that you can apply if you want to improve the look, feel and appeal of your kitchen. You would be able to feel more motivated to cook and serve delicious foods for your family if your kitchen is beautifully designed, organized, comfortable and goes along with the modern kitchen trend. Call us at (808) 518-6808 for your professional plumbing and kitchen remodeling needs, wants, and desires!